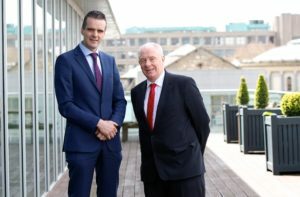 IFA President Joe Healy has impressed on Minister for Rural and Community Affairs Michael Ring the need to increase the number of walks covered by the Walks Scheme from 40 to 80, and to increase the funding from €2m to €4m. At a meeting last week, the IFA President reminded the Minister that this was a commitment in the Programme for Government, which has to be delivered on. Joe Healy told Minister Ring that many projects developed by local communities and Leader companies and are ready and waiting to become part of the Walks Scheme. At the same meeting, IFA Hill Committee Chair Flor McCarthy urged the Minister to resolve any outstanding insurance issues and to ensure that landowners are fully protected from claims. In relation to the CLÁR Programme, Flor McCarthy said that all hill areas are currently included but that the funding available should be increased substantially. At one point, €23m per annum was being pumped into the CLÁR areas. This has reduced to around €8m and must be restored. Flor McCarthy said support for the installation of three-phase electricity would be a step in the right direction and support for rural roads and broadband is also necessary.